Obituary for Anna Elisabeth Sachs Matthews | Sullivan's Highland Funeral Service & Crematory, Inc.
Anna Elisabeth Sachs Matthews passed to be with her heavenly Father August 30th, 2018, in Fayetteville, NC. Anna was born July 6th, 1935, to Viktor and Maria Braun Sachs of Stubenberg, in Bavaria, Germany. Growing up in embattled WWII Germany, she worked her early career years at an American military base: as a governess for a great American hero, and his family, Colonel and Mrs. John McElveen. Anna met the love of her life in Bitburg, Germany: Air Force soldier Paul Hewitt Matthews of Fayetteville, NC. 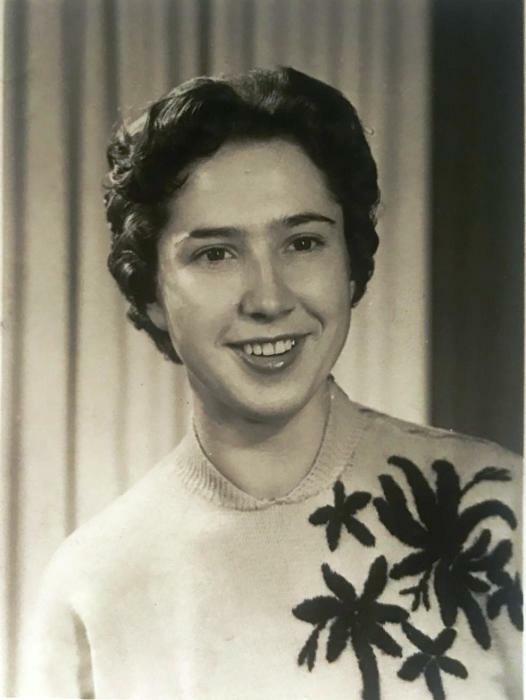 Anna immigrated to the United States through the help of the McElveen family, and was married to Paul in a celebration that continued until her passing some 61 years later. Their marriage produced four children, nine grand children, and one great-grandchild. She was preceded in death by her parents Viktor and Maria Sachs, brothers Siegel Sachs and Viktor Sachs, sister Elfrieda Reis and a grandchild Lex Luster. "Annalisa" will be deeply missed by her husband Paul, and her children Paul Oliver Matthews (Lisa), Dr. Donald Kenneth Matthews (Youn), Maria Matthews Luster, and Rebecca Matthews King (Don). Her grandchildren: Taylor Matthews, Justin Matthews, Isabella Matthews, Olivia Matthews, Stephanie Luster Smith (Brian), Matthew Luster, Victoria King, Samuel King, and a great grandchild Delaney Smith. "Oma" absolutely loved all her children, grandchildren and great-grandchild. She was an exceptionally intelligent woman with stunningly gorgeous beauty, inside and out. With sparkling personality, she's definitely one of the most outgoing people you'd ever meet. Visitation Tuesday ten a.m. St. Patrick's Catholic Church with Mass following at eleven. Visitation Tuesday six p.m. Sullivan's Highland Funeral Home with service following at 7:30. Burial will be held at Sandhills State Veterans Cemetery on Monday, September 10, 2018 at 2:00 pm. Please join us in celebrating a wonderful life.